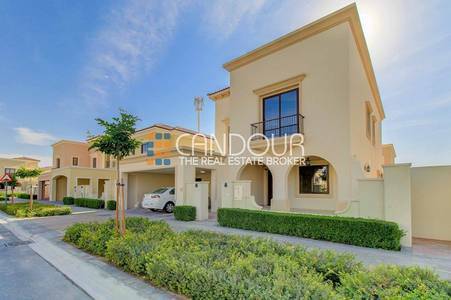 Candour Real Estate Broker LLC is happy to offer this spacious 5 bed plus maids Corner Villa in Samara, Arabian Ranches. The newest community; Samara is the next Chapter in Arabian Ranches living. Home to Spanish coastal influenced villas, Samara is a lush oasis positioned amidst the beauty and tranquility of the desert dunes beyond. Beautifully designed and masterly configured for family-centrist living, choose from a selection of 177 three, four and five-bed homes, each with private plots for gardens. Low-pitched terracotta tiled roofs define the neighborhood skyline, accented with elegant overhanging eaves and delicate wrought iron trimming. Impeccably styled, the interior design is a unique interpretation of a sophisticated modern Spanish palette.